Featured on Newsnight item from park in Sheffield. 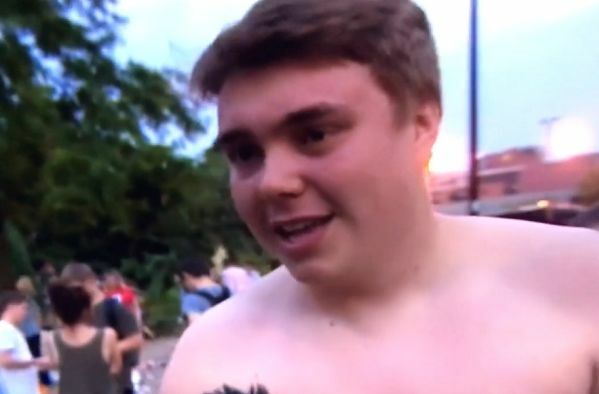 A fan without a shirt on praised England’s players for caring about the shirt as they lost 2-1 to Croatia in the World Cup semi-finals. He was speaking to the BBC’s John Sweeney for a Newsnight item at a park in Sheffield where the match was being screened. Despite saying “they care about the shirt, that’s what matters”, he neglects to wear one himself.